Behind the scenes in the recording studio for the forthcoming tour of Captain Corelli's Mandolin with composer Harry Blake. CAPTAIN CORELLI’S MANDOLIN will have set and costume designs by Mayou Trikerioti, lighting design by Malcolm Rippeth, sound design by Jon Nicholls, projection design by Dom Baker for OD Vision and music composed by Harry Blake. ​Nicole Crespo O’Donoghue visits the Sarasate museum in Pamplona, Spain, and plays the great virtuoso’s Jean-Baptiste Vuillaume violin, as well as taking a close look at a Gand & Bernardel which was his graduation prize from the Paris Conservatoire. The city of Pamplona commemorates the 110th anniversary of the death of the violinist and composer Pablo Sarasate with a program of cultural activities including music, film , guided visits and the renovation of Pablo Sarasates tomb on Wednesday the 19th September till Sunday 23rd of September 2018. The program begins on Wednesday 19 at 19:00 with the projection of the documentary produced and directed by Joaquín Calderón The King of the Violin. The 20th September at 20:00 Concert with Nicole Crespo Sarasate´s Violin Sounds Again in which she will play compositions played on Sarasate´s own violin. 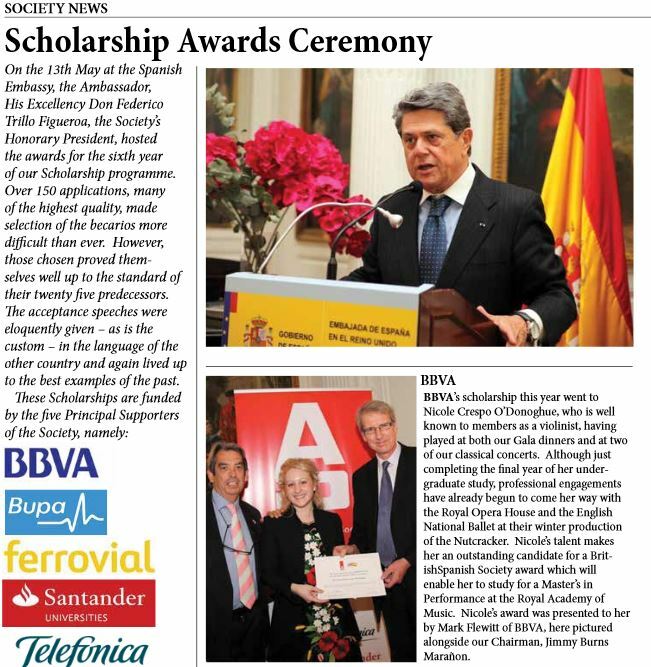 The BritishSpanish Society is a registered charity whose object is to promote friendship and understanding between the people of Britain and Spain through knowledge of each other’s customs, institutions, history and way of life. heritage and her musical ambitions. The petite musician with a giant talent won a scholarship from the Diputación Foral de Bizkaia to attend the Royal Academy of Music and has her sights set on Carnegie Hall. “My mother is Irish, born in Dublin and I, like my father was born in Bilbao but spent long summers in Ireland. I always knew I would play the violin. Show has been extended to the Playhouse Theatre, London. 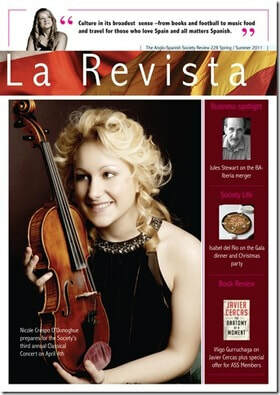 ​Nicole Crespo plays a solo recital on the "Beech-Back" Stradivarius. 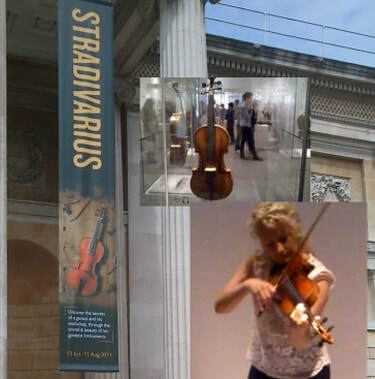 The Ashmolean Museum brings together 20 of the finest surviving Stradivarius instruments for the first major UK show dedicated to the Italian maker.